Specifically designed to secure the contents shown, the kit can be purchased fully loaded or empty to stock your own supplies. The TRAUMA CUBE™ PRO can replace a DEEP STUFF pocket on any of our TS2 Ready™ bags or it can be used by itself as a compact trauma kit. 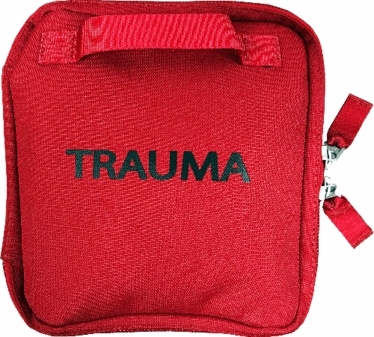 Backside hook tape (velcro) allows you to connect the TRAUMA CUBE™ PRO to any loop tape product. Constructed from incredibly durable 1200 Denier coated TPE the bag is water and stain resistant. Over sized YKK zippers and EZ-PULL™ pullers provide for easy quick access to the main pocket. 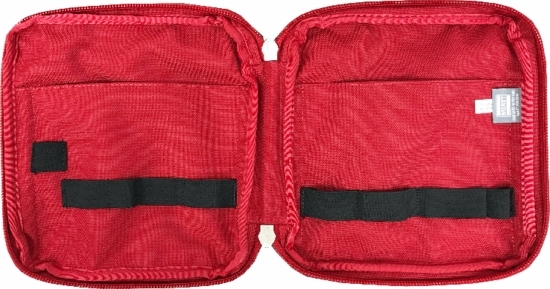 Inner elastic webbing secures the smaller supplies and 2 rear large pockets secure larger supplies. 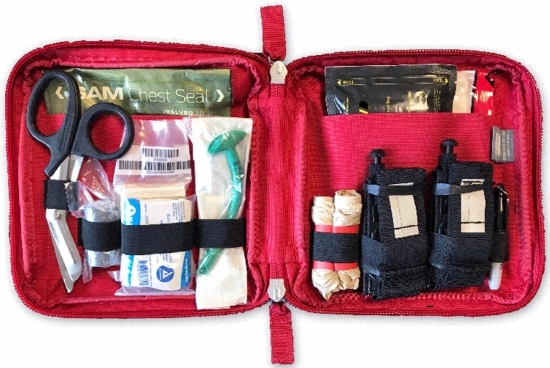 The TRAUMA CUBE™ PRO fully loaded includes: 2 Black SOFTT-W Gen 4 Tourniquets, 1 Celox Rapid, 1 H&H Thin H Bandage, 1 Valved Sam Chest Seal, 1 NAR S Rolled Gauze, 1 28Fr Nasopharyngeal Airway with lube, 1 Rescue Hypothermia Blanket, 1 Combat Medic Tape, 1 7.5" EMT Shears with Black Handle, 1 Mini Sharpie Marker, and 2 Rolled Pairs of XL Nitrile Gloves.